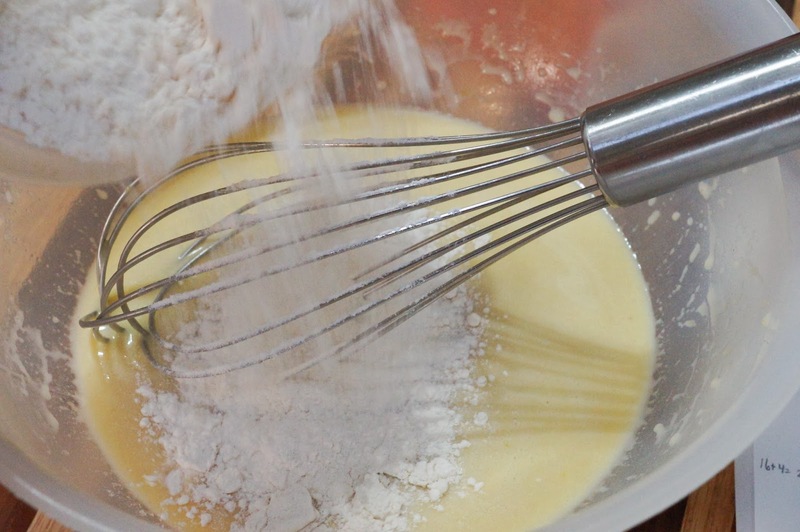 Using a whisk, mix together the oil, sugar, eggs, and eggnog. 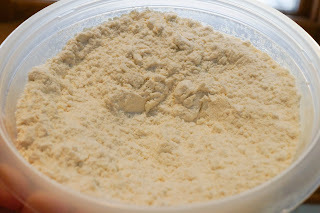 In separate bowl mix the flour, baking powder, and baking soda. 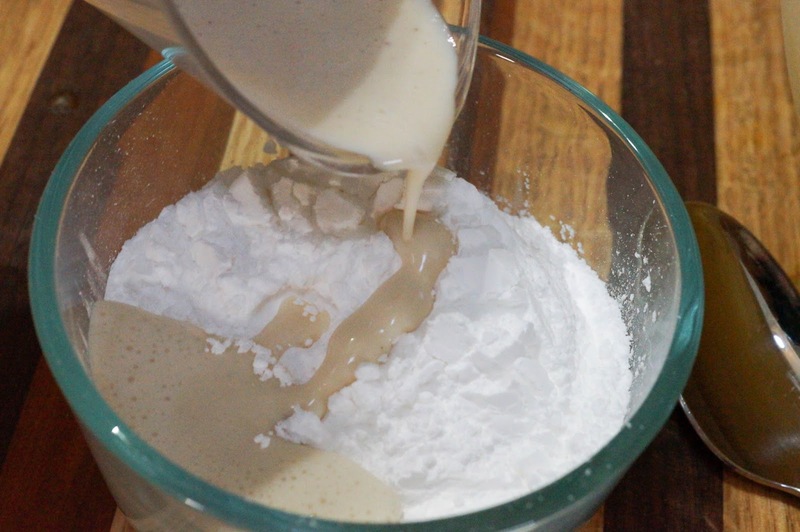 Slowly add the dry ingredients to the wet and mix until smooth. 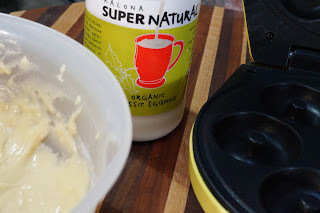 *I used our local Kalona Supernatural organic eggnog. 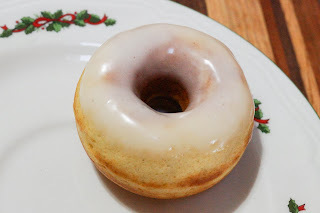 It has a great flavor that is just the right spice for this donut without adding more spices to the batter. 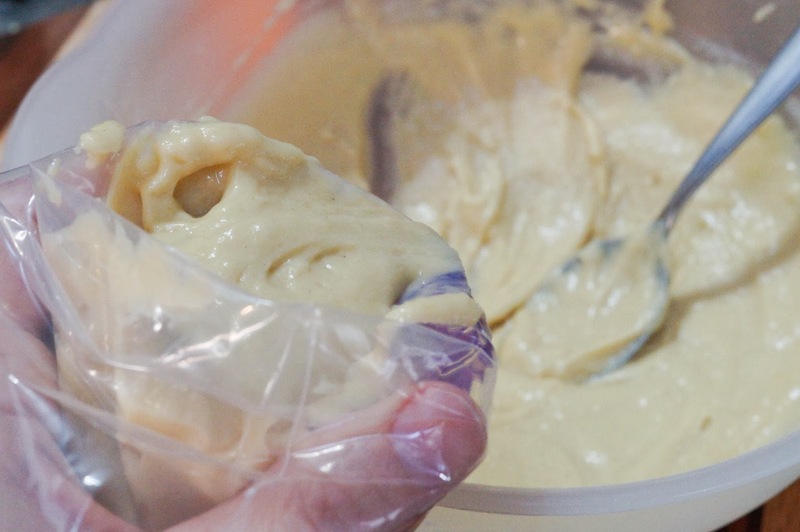 Scoop the batter into a disposable decorating bag. 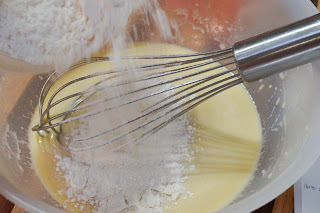 For the glaze you'll need to put your powdered sugar in a bowl and slowly add some eggnog stirring until it's the right consistency . Depending on how thick your nog is will determine how much you need. 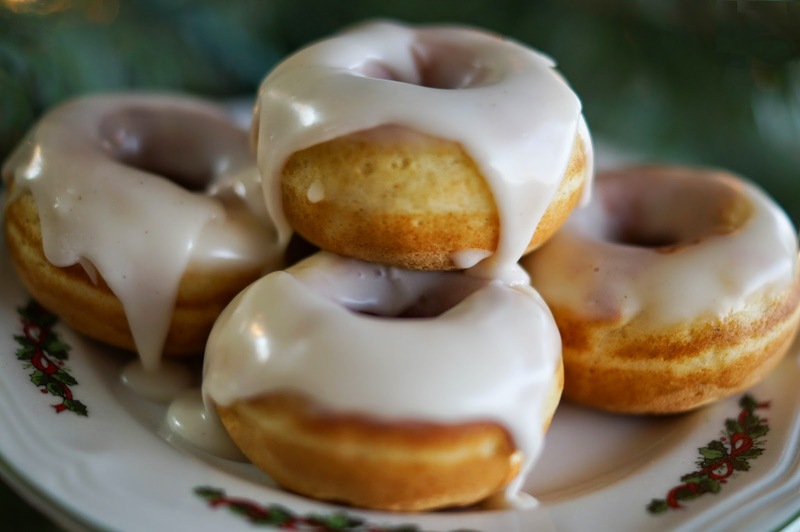 You don't want the glaze stiff like frosting but you don't want it thin like milk. 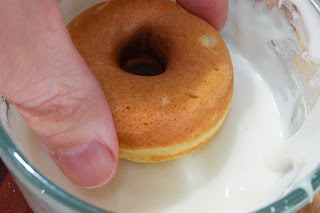 Dip the donut tops into the glaze. I chose whichever side didn't look as nice. That is a cute donut maker! I just got one, but it's a pan to bake the donuts. 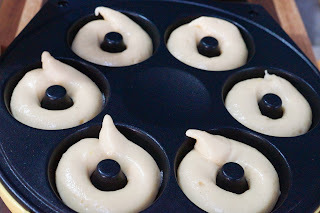 Going to try it today but with a chocolate recipe. 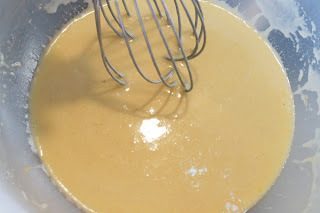 I would LOVE this recipe, but my kids do not enjoy eggnog. One day I will make some for just me! They look delicious! I didn't care for the eggnog straight so I thought if I used it in something it would be OK. It gives just enough flavor with the rum extract and spices in the nog to say "hello" without screaming it. I have leftover eggnog which I do not drink so I may just have to try these out, look delish! I found I wasn't a fan either so I figured I'd put it in something! Love baked donuts. Your recipe sounds delicious and I love the glaze too. Definitely will be making these. Pinning & sharing. Baked makes you not feel so bad when you down a "few!" 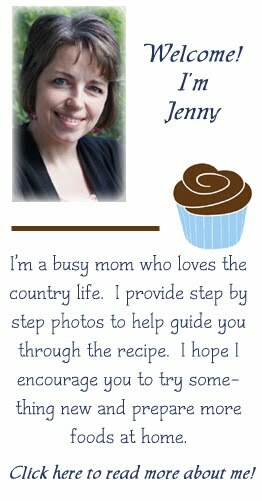 Thanks for pinning and sharing Joanne! Ohhhhhh these look so yummy! And I love that they are little mini donuts! Makes you feel a little better when you indulge and they are baked so bonus X 2! Hi Jenny! Thank you so much for sharing these amazingly delicious looking donuts with us at last week's Get Crafty Friday! Guess what...you've been featured this week! Thanks again! Thank you so much Katherine, always a pleasure to hook up with you! oh.my.goodness.. that sounds incredible! just found you at the Tablescaper, lovely photo caught my eye! i will have to give these a try! Thank you so much for the compliment Kelly! Yum, love baked donuts and these look incredible! Thanks for sharing Jenny! My husband loves eggnog and so I try loads of baked goods with it - saving this for the holidays this year for sure!